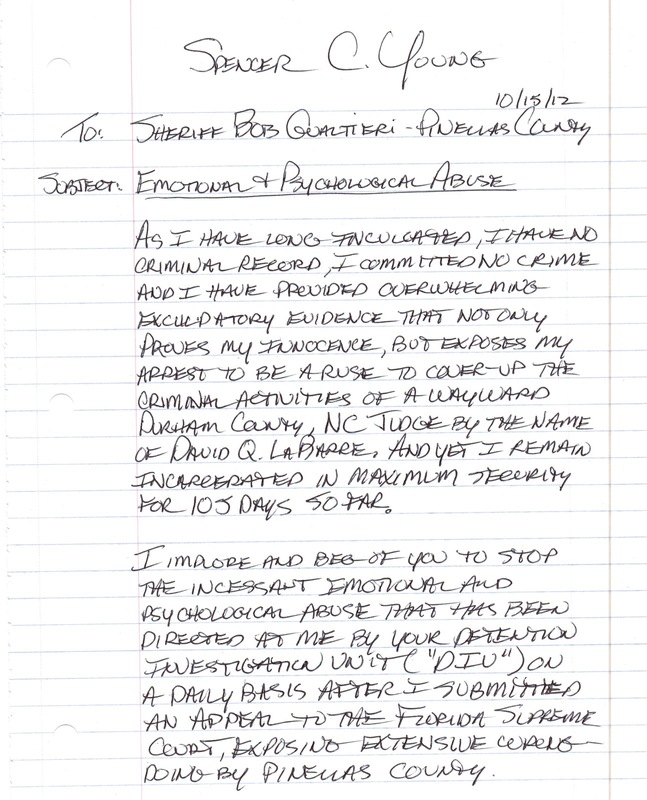 The below reproduced letter was sent to Pinellas County Sheriff Bob Gualtieri pleading for him to cease the incessant emotional and psychological abuse of Spencer C. Young, who was WRONGFULLY arrested on FALSE charges and UNLAWFULLY incarcerated at Pinellas County Jail for 118 days, while maliciously DENIED BAIL in violation of the EIGHTH Amendment of the U.S. Constitution. This letter was written during this UNLAWFUL incarceration. 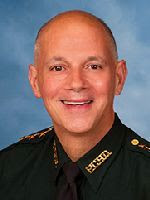 As a complicit participant in this dastardly scheme, Gualtieri was nonresponsive. Much of this abusive treatment was administered by his Detention Investigation Unit ("DIU"), which most aptly likened to the Nazi SS in their treatment of Jews during World War II.